I’m already on record with my support for free-will, even if it is a weak variety that falls well short of the absolute sort many advocates of human agency support. Free will is, in my humble opinion, better seen as synonymous with influence rather than with anything like complete control. But even if you’re a rabid determinist who can simply find no space for agency anywhere in your philosophy, there’s still considerable evidence that it’s a useful fiction. Like a great novel or an epic film, it doesn’t need to be true in any literal sense to impact the way we see the world and to positively effect our interactions with it. What’s so useful about free will? Harris’ challenge to free will above is just another way of stating Schopenhauer’s famous aphorism “Man can do what he wills but he cannot will what he wills.” If my desire for happiness is just a product of my biology, it hardly makes any sense to argue that anything I do to fulfill that desire is ultimately a product of my will. Like Sisyphus eternally pushing his rock up the hill, any break we take from our efforts will only result in having to start all over again from the bottom. The question of whether or not we enjoy free will, and if so to what degree, isn’t going to be settled here. In fact, it may not even be the right question to be asking. At least for those of us concerned about both our personal and societal wellbeing, it appears we should be asking whether or not the concept of free will is useful rather than whether or not (or to what extent) it is real. If current research is any guide, it appears that it is. People who believe in free will learn better from their own mistakes and misdeeds (Stillman & Baumeister, 2010), have higher perceived ability and positive attitudes toward decision making (Feldman, Baumeister, & Wong, 2014), enjoy greater self-efficacy and suffer less from helplessness (Baumeister & Brewer, 2012), show more honest behavior (Vohs & Schooler, 2008), demonstrate higher levels of autonomy and report higher willingness to exert effort (Alquist, Ainsworth, & Baumeister, 2013), show stronger motivations for career success and exhibit better job performance (Stillman et al., 2010), and are more future-oriented (Seligman, Railton, Baumesiter, & Sripada, 2013). The belief in free will has even been shown to affect the fundamental processes of agentic volition (Rigoni & Brass, 2014), such as increased voluntary motor preparation (Rigoni, Kuhn, Sartori, &Brass, 2011), better suppression of automatic pain reactions (Lynn, Van Dessel, & Brass, 2013), and more efficient neural reactions to errors (Rigoni, Pourtois, & Brass, 2014; Rigoni, Wilquin, Brass, & Burle, 2013). These findings support the view that the belief in free will has evolved to facilitate both the individual pursuit of long-term goals and the coexistence with others within cultures. The last line of the above statement by Feldman et al. (2016) implies that our tendency to believe in free will may be something over which we rather ironically have little to no control. That the belief itself might be an evolutionary adaption that enables us to better pursue “long-terms goals” and live more peaceably with others would certainly seem to favor determinism. But it hardly matters. To compatibilist philosophers who believe determinism and agency can be reconciled and to those who insist upon free will’s ultimate and absolute reality alike, it’s the utility of the belief that ultimately undermines the doubters. One can imagine them responding to the strict determinists with the argument that if evolution hadn’t endowed us with the belief, based on the list of benefits it offers documented by a growing body of research we obviously would have to invent it anyway. While some people think it’s noble to commit themselves to a lost cause, most people hesitate to do so. After all, if you’re going to fail no matter what you do and you would really rather be doing something else anyway, why bother putting in the effort? The researchers Roy F. Baumeister, E.J. 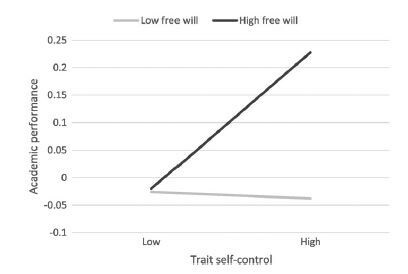 Masicampo, and C. Nathan DeWall concluded in their 2009 paper, entitled the “Prosocial Benefits of Feeling Free”, that “taken together” the results of their experiments “point to the conclusion that disbelief in free will serves as a subtle prime that encourages people to respond automatically…rather than exerting self-control.” This attitude has negative social consequences in circumstances that require us to make a little extra effort to offer someone a helping hand. While it would be wrong to describe pure selfishness as our default position, as so many do, if we accept that we have a fixed nature that is at best more selfish than not and that there’s really nothing we can do about it, then obviously there’s really no point in trying to do so. We find a belief in agency also produces positive impacts when it comes to our personal academic or job performance. Because “those who believed in free will reported seeing categories (kind of person and intelligence) as more malleable” (Feldman et al., 2015), these people also tended to think there were more actions available for them to personally take that could enhance these traits. So, for example, a student who believed their intelligence was entirely determined by their genes, their culture, or by their god was less likely to spend significant time studying than a student who believed intelligence could be improved to at least some extent through longer hours spent studying. Naturally, more time spent hitting the books tends to translate into higher grades. By now you may have noticed that there’s something of a self-fulfilling prophecy thing going on here. While believing we can do something is no guarantee of success, it does improve our chances. Even when failure does occur, as it inevitably will from time to time, it’s likely to have a bit less sting for those who believe they have some influence in the world that they can both personally and collectively exert. If nothing else, because they consistently begin with the premise that it’s possible to impact outcomes for the better, even if only to a small degree, they are more likely to proactively apply the lessons learned from their failures in the future instead of merely accept their fate as failures. It should be obvious at this point that belief in agency doesn’t just improve the odds of getting a better grade than our more fatalistic classmates. It also improves a society’s prospects. Before we could get to the moon, JFK had to accept that we could go if we chose to do so, and the majority of American society had to share this conviction as well. This faith in possibility had to be strong enough to accept failure along the way, and there were many. There would have been absolutely no point in dedicating valuable financial and scientific resources to the effort if people had felt pessimistic, let alone fatalistic, about putting people on the moon and bringing them safely back again. This belief in possibility is even more important today as we face challenges like climate change and as America, in particular, continues to struggle with the question of how, or even if, it can ever provide basic services like healthcare to all its people. Perhaps the most persistent and pernicious challenge to policy proposals like the Green New Deal is fatalistic arguments that come disguised as pragmatic ones. For example, we are told over and over again that ambitious contemporary moonshots such as the Green New Deal are neither politically nor economically feasible, as though human political and economic systems could somehow function completely beyond the control of human beings. A present lack of will does not damn a society to forever exist in a state where it cannot overcome its own internal political and cultural inertia. However, both incrementalism and arguments offered in absolute opposition to proposed new leaps forward are ultimately built upon just that premise. Economic “laws” are treated with almost the same reverence as the laws of physics and deemed immune to human interference, while the pace of cultural change is likewise supposedly a fixed thing that, like the speed of light, cannot be exceeded. In Still Life with Woodpecker, the novelist Tom Robbins writes “We are our own dragons as well as our own heroes, and we have to rescue ourselves from ourselves.” It may be the case that our situation is completely beyond our control. But in the off chance we have the power to “rescue ourselves”, even if only a little, the safe bet is to try. 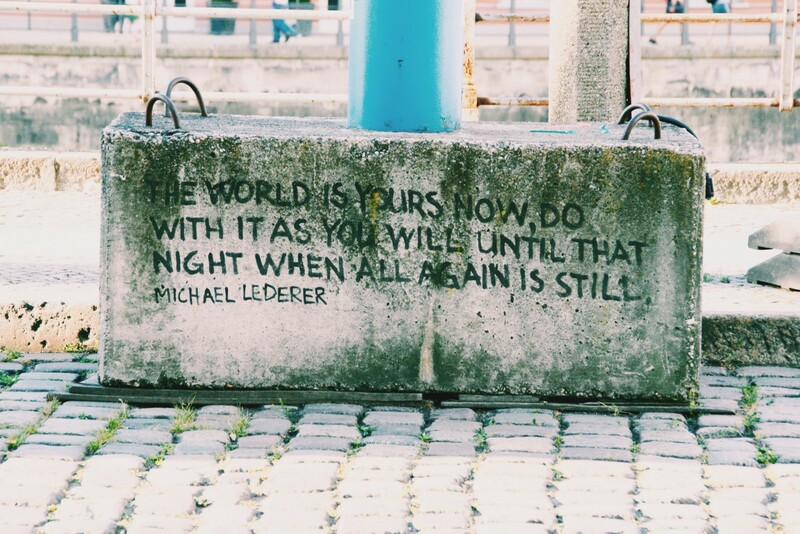 What do we have to lose? Debating whether we have agency, and if so how much of it we have, is a wonderful way to spend a sunny afternoon on the patio with fellow thinkers. However, assuming it’s all beyond our control is a terrible way to live a life or run a society, especially when we have evidence the belief itself is all we need to do a little better. We strive to produce content that provokes conversation of a political/social nature. Our goal is to increase insight and understanding in our communities.